our maternity photoshoot | escaped. ..is something I never thought we'd do. "Please take some photos of my husband awkwardly rubbing my belly while I gaze into his eyes lovingly"
Lol. I couldn't comprehend. Sounds too Hollywood for me. Blake Lively photo which announced that she's pregnant to the whole world, one of the Hollywood shoots I approve. Then..a few months after the wedding, we received a message from our wedding photographer, asking to meet to hand us the official wedding album. You see, we had some issues with them - the wedding video was late and much later than we anticipated as promised by the photographer team, so to make up for this, they offered us a post-wedding photoshoot as complimentary. A photoshoot free of charge. Who wouldn't, right? But but, I told the photographer I was already pregnant - and in my second trimester (entering third, I think) so my belly is quite showing already. It'd be awkward to have the post-wedding photos with a belly that big! 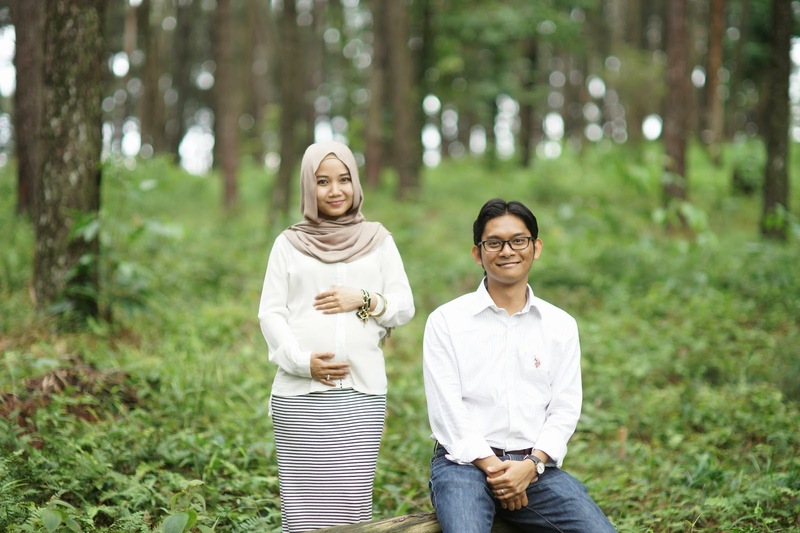 So we had to convert it to maternity photoshoot instead. Decided to just get on with it. No harm when it's free, afterall. Of course, all predictable pose. Haha. Still, we love the pictures even though I look crazy pale - decided not to do any makeup and go au naturel; but nature and au naturel don't go well together. "People know you're pregnant. Of course you'd look pale!"